Quantum Mechanix presents Catwoman based on the 2016 Rebirth comics from DC! 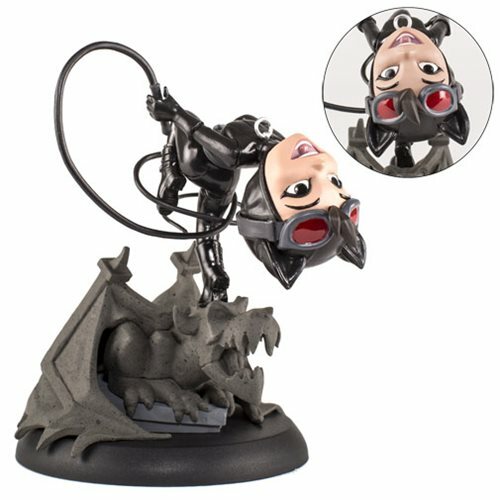 Clad in an updated black catsuit and a swirling whip, Catwoman lithely arches her back as she prepares to do a backflip off a scowling gargoyle. This DC Rebirth Catwoman Q-Fig PVC Figure measures about 4-inches tall and comes safety packaged in window box. Ages 15 and up.